Made of compressed wood with adjustable hardboard dividers. 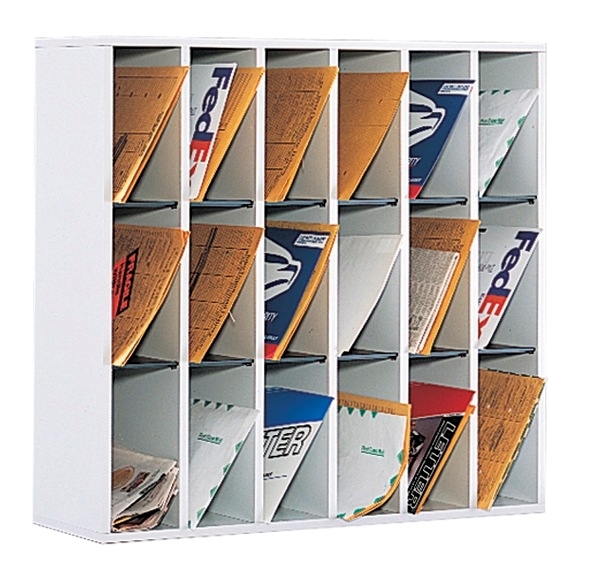 The 18-Compartment Sorter has large slots to accommodate over-sized envelopes. Stack up to two high to increase sorting capability. Black plastic molding does double-duty, first as an attractive accent to the finish and second as a label holder for identifying the bins (labels are included). Durable laminate finish will compliment any setting. Solid fiberboard back provides stability for the unit.